Teaching is tough! And that’s true even if you have a classroom full of 38 obedient children, who listen to your every word. So what do you do when your students are noisy, loud and disruptive? How do you get your students to follow instructions so that you can give a rockstar lesson? Luckily, there are proven ways to control the mayhem and get your class to listen. And they are all based on one principle – the same principle marketers use to sell you their products. It’s called Pattern Interrupt and it works, every time. The basic idea behind pattern Interrupt, coined by hypnotherapist Milton Erikson, is exactly what the name implies; You are breaking someone’s pattern or behavior by interrupting them with an unexpected stimulus. This ‘stimulus’ can be anything from a sound to a funny joke to a physical movement. Pattern Interrupt is a phenomenon that you experience every day. Just think about it… All those commercials and posters and pop-ups you see, these advertisers are grabbing your attention by breaking your flow and putting their message (image/video/text) in your face. Even juicy headlines have this effect! But this tactic is not only used in fancy advertisements. Pattern Interrupt works at even the most basic level. Take the classic handshake; When you meet someone for the first time and stick out your hand – you have just used a pattern interrupt; the person shaking your hand has automatically refocused his attention to your eyes and your hand and YOU. So, how does this work in the classroom? How can Pattern Interrupt be used as a teaching strategy? Imagine a teacher standing in a room full of chatting students. The teacher can’t get their attention, so s/he suddenly breaks out in a dance, singing Peanut Butter Jelly Time. This may sound a little more extreme than a handshake, but both tactics play on the same principle. The only requirement for a Pattern Interrupt is the element of surprise. What’s really happening in a student’s mind during a Pattern Interrupt? Once put in place, a Pattern Interrupt is always followed by a temporary state of confusion. This is your moment of Glory! “This confusion state can make [the student] open to suggestion… because we are subconsciously willing to trade our uncomfortable state for another’s clarity.” – NLP Mentor. It is your clarity and instruction that is actually what pulls the students back into the lesson. 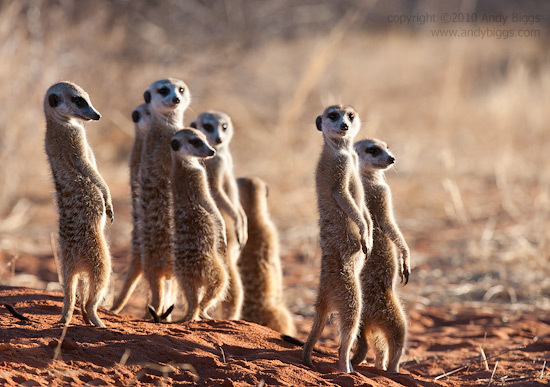 The concept works well on individuals, but even more so on large groups of people, such as a classroom full of students, because the reaction of one student gets picked up by another and another…and a domino effect ensues until the whole class has been affected (kind of like a meerkat who spots an eagle overhead and causes the rest of the group to take notice). Of course, certain Pattern Interrupts will work more effectively for specific age ranges and environments. (So, I’ve separated elementary, middle school and high school). 2. Make Some NEW Noise – Novelty successfully captures young students’ attention, such as the sound of a wind chime or rain sticks. Do you play an instrument? If so, that’s awesome! Surprise your class by playing an instrument, and change songs and melodies from time to time! 3. Animal Sounds – Researchers demonstrate that the use of an animal encourages positive learning interactions. The teacher says the name of an animal (or shows a picture) and students respond with the matching sound, “An elephant does what? A hyena does what? A whale does what? That’s right, get creative with you animal calls! 4. Animal Sounds App – Going with the noise theme check out this animal noise app which works in the reverse – you play the animal call and the students answer with the matching animal – Check out 15 other ways to use your iPhone in the Classroom. 5. Cartoons! – Animated characters are one of the greatest Patterns Interrupts of modern society, you can read all about the psychology behind cartoons here. 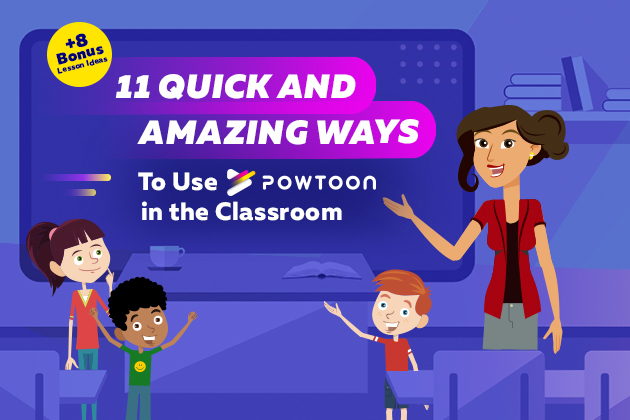 Fortunately, you can easily integrate animation into your lesson plan using Powtoon. There are all sorts of templates that make students of all ages, stop in their tracks! ‘Five Facts’ is a great intro to presentation technology for young students. After you show them your own creation, have the students write 5 facts, favorite foods, five objects that begin with K…and then add them into the template. 6. The ‘Give Me Five’ Technique – Harry K. Wong, the author of ‘The First Days of School: How to Be an Effective Teacher,’ coined this technique. The teacher raises his/her hands and the class follows. As each finger is lifted everyone says: (1) Eyes — look (2) Ears — listen (3) Mouth — closed (4) Hands — still (5) Feet — quiet. Your class should be quiet in 5 seconds. 7. Visualize Noise – TooNoisyApp allows kids to visualize their noise levels so that they can control and quiet themselves! The key is to introduce the app in a fun positive way by allowing students to test it out. Have them drop an object, such as a plastic bucket or move 2 chairs together, then change levels by whispering – explain that noise levels are important so that they (and their classmates) can be the best learners. As an extra incentive, offer a reward at the end of each lesson if the kids were quiet; An example of a reward is shouting a funny phrase together (a phrase related to the lesson) and watching the noise meter go bezerk! 8. Water and Ice – Teach the difference between flowing water and stiff ice. When you say “Make a Wave,” have the students wave their hands and flow like water…When you say, “Turn to Ice”- they should sit at their desks, still like ice cubes and look up. 9. 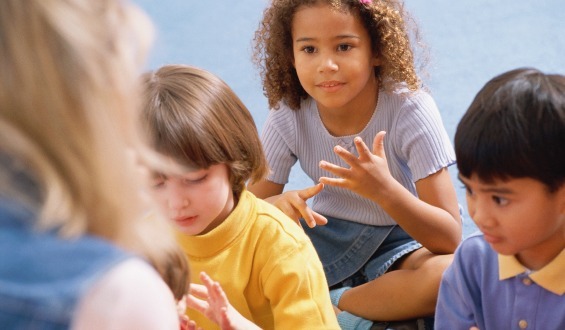 The Good ‘ole Clap routine – Clap your hands and in a normal tone of voice say, “Clap once if you can hear me.” Those students who hear you will clap. Then say, “Clap twice if you can hear me.” More kids respond with two claps. Go on to 3, 4, 5… By this time you should have the attention of your students. 10. Simon Says – Teacher says, “touch your nose,” “pat your head,” or “point to the teacher” (Instructing students to use their hands gets them to drop the objects they are holding and focus). 11. 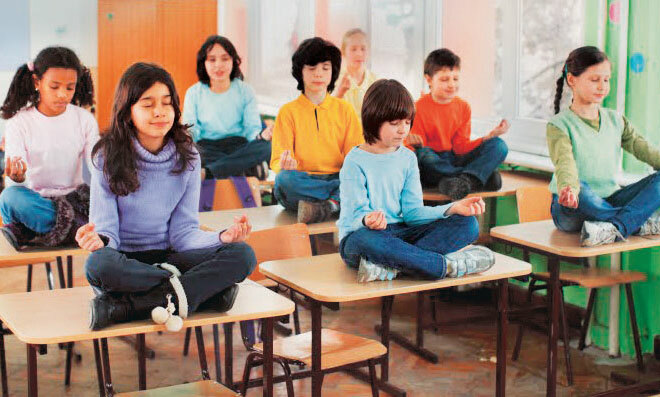 Exercise Break – Tell the students it’s time for a 2-minute breather with yoga, jumping jacks, Pilates (Chair pose is a challenging one, and will get your students focused). 12. Whisper Instructions (especially strange instructions) – The kids in the front will start to follow and the others will try and figure out what you’re saying and what their classmates are doing. 14. Interview a Scientist – In the middle of a presentation have an important figure pop out and ask the kids a question…. 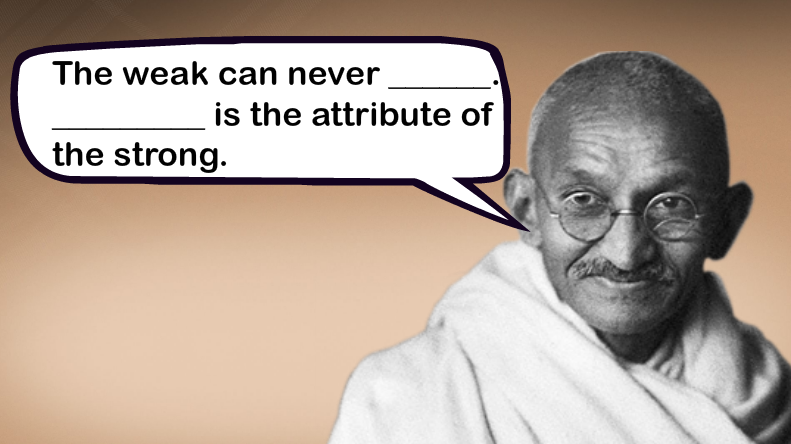 or have them fill out missing words to a famous speech or phrase, (in the example of Gandhi to the right, the answers are “Forgive” and “Forgiveness.”) You can even turn yourself into a cartoon and give the kids a laugh during your presentation (Bonus! Flip the classroom and have the students turn themselves into cartoons as a HW assignment)! 15. PLAN something unexpected – Children respect teachers who invest in them, so once in a while plan something crazy. I had a high school teacher who walked in wearing a black robe with orange cutouts of Greek gods and symbols. The lesson was on Greek literature and she was dressed as a Grecian Urn – an Urn!? Another teacher of mine came in dressed as a football player to teach about anarchy during the French Revolution. 16. Voting – Ask a question related to the lesson and have your students vote as the response, “How many of you have ever climbed to the top of a tree?” if it’s really noisy you can ask the voters to stand up. 18. Powerful Images – Hold up or display an image of something related to your lessons, such as a chemical reaction, a history scene or a graph with 2 geometric shapes… Ask the students to write a caption or add something to the scene. 20. Video Within your Presentation – Create a slideshow and insert a short video clip from YouTube (or upload from your iPhone). This is done with one click on Powtoon, and this ‘Quick-Clip’ technology is free. For example, you can give a presentation on Australia and use a small clip of hopping kangaroos, or you can add a clip of the latest Taylor Swift video… You set the start and stop times! You can also use yourself as the ‘important figure’ by prerecording yourself and embedding it into the presentation- Check out Math Teacher Matthew Weathers amusing students at Biola University in California. 22. Quotation Time – Quotations that don’t seem to be related to one another and ask – not just how they are related to each other – but how they are related to the day’s lesson as well. 24. Mission Impossible Template – Class assignments filled with spy music and computer de-coding will raise every head in the room. 25. Syllabus Animation – Introduce the class topic with an animated Course Syllabus or teacher intro Template (there are 4 pre-made Powtoon intro-templates and they can all be customized). 26. Do the Robot – Say in a robotic voice, “Miss Jones to Class – Come in class” and smile! Try to make the robotic movements too. You will either be cool, or funny and memorable. It’s a win-win. 27. Tell a Personal Story – Get personal and forge a relationship. 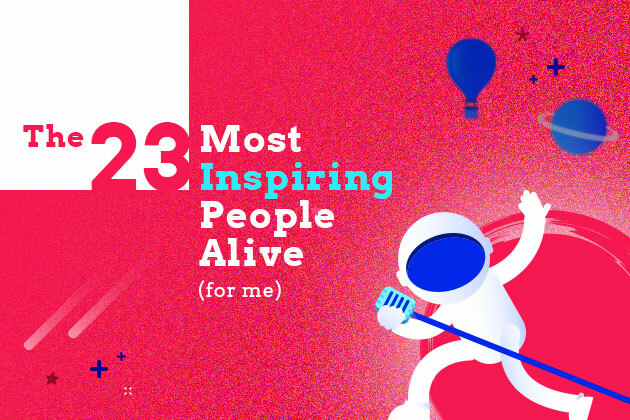 For example, if you want to teach about past tense verbs talk about a bad day you had yesterday, if it’s a lesson about colors talk about your colorful dinner, for older kids talk about how your teacher in high school introduced the topic (in a ridiculous/inspiring/unforgettable way). 28. Pop Quiz – Not the evil kind… Rather a quiz for extra credit on the next test. 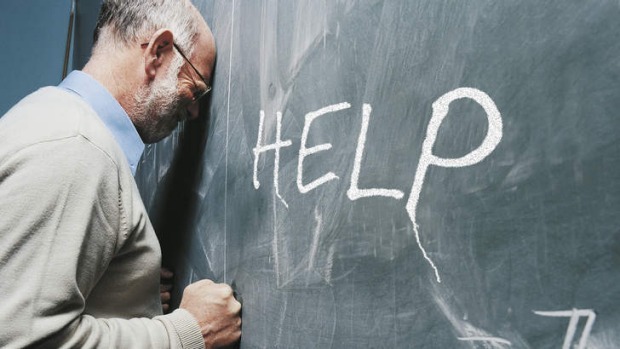 Write 1-3 random questions on the board and tell students you really want them to get the answer right so that everyone can get an extra point on the test. Have students answer on slips of paper and turn them in. This gets students focused right away on course material and is a great lead for a discussion after the quiz. 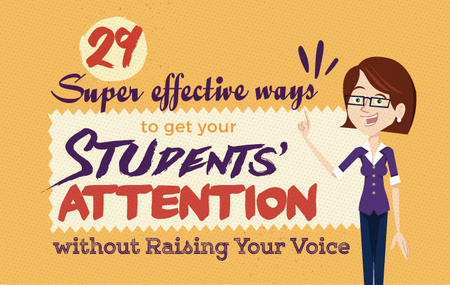 The next time you find yourself standing in a classroom full of students, trying to grab their attention, don’t raise your precious voice! Simply use one of these 29 Pattern Interrupts to get your students focused and be the rockstar teacher that you are! If you’re an educator and have used Pattern Interrupts, we’d love to hear about it!